Your current home WiFi system could use some improving. Admit it, you’ve got wimpy 5GHz signals, lagging HD streaming, and more wires and multi-brand hardware than you’d really care to admit. The ultimate home WiFi system should not be pieced together out of research and trial and error. It should come as a network designed to work as a team of components to maximize the WiFi coverage of your entire home. It should be designed to plow across stairs, leap through walls, and communicate with its team members (a.k.a. other necessary devices) in such a way as not to waste precious broadband. And from what we’ve been told, Eero could be just the gadget to make this happen. Eero is a plucky little start-up that has come from the fruition and expertise of Jon Rubinstein (former Apple exec) and the designers behind the Roku media player, nest thermostat, and GoPro Hero3. These are not amateurs in this game and the design of Eero seems to suggest that. As they say on their YouTube video, “it’s not a router, it’s a WiFi system.” It is a ‘mesh network’ that blankets your home in a cozy embrace of solid streaming, secure connections and no more buffering. 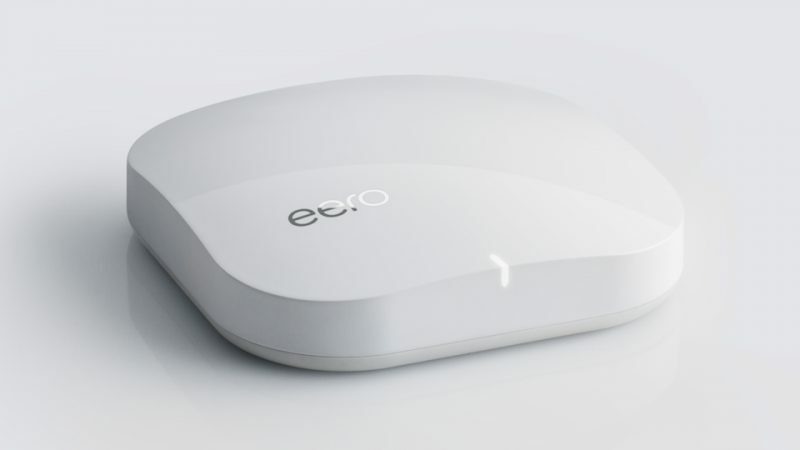 And as Eero promises to continue to upgrade their software, we’d like to think there will be even better things to come. Get more info.